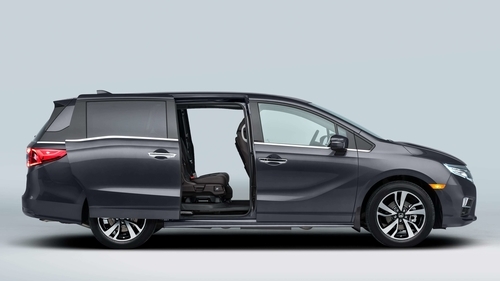 For as long as it has been in production, the Honda Odyssey has been considered the very best that the minivan category can offer. The current generation Odyssey is no different, delivering the ultimate in family-friendly performance, comfort and connectivity. The Odyssey’s new styling adopts Honda’s signature flying wing front grille flanked by available LED front headlights. 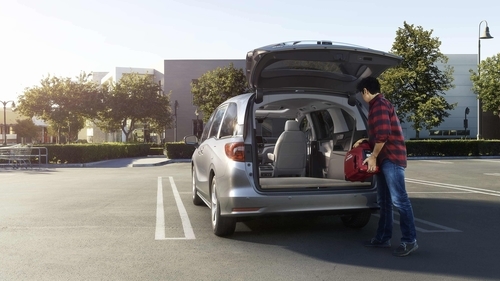 The Odyssey’s signature lightning bolt beltline now provides an even more elegant design element with the sliding door tracks hidden in the lower portion of the rear quarter windows. At the rear, there are LED taillights and an available new hands-free power tailgate with foot activation. Offering customers greater value than ever before, the 2018 Honda Odyssey prices increase modestly, despite the substantially increased comfort and convenience features such as standard Honda Sensing® technology, new Display Audio system with Apple CarPlay™ and Android Auto™, and new Magic Slide 2nd-row seats™. The line-topping Odyssey Touring rounds out the Odyssey lineup with a long list of available new premium features and technologies, including CabinWatch™ day/night video monitor, CabinTalk™ in-car PA system, 4G LTE in-car Wi-Fi, new Rear Entertainment System (RES) with Blu-ray and streaming video, hands-free power tailgate, ventilated front seats, LED accent lighting and more. 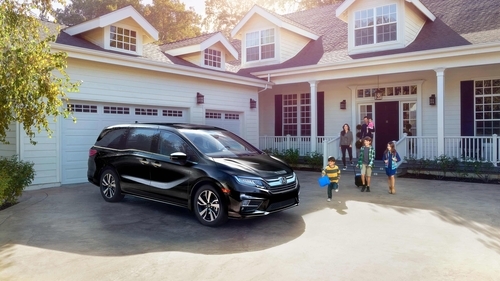 With its new 3.5-liter SOHC direct-injected i-VTEC® V6 engine, offering 32 more horsepower than before, and new 9-speed and available 10-speed automatic transmissions with standard paddle shifters, the 2018 Honda Odyssey offers top class performance and improved NRCan fuel economy ratings of 12.6/8.4/10.7 city/highway/combined on trims LX to EXL Navi and 12.2/8.5/10.6 on the Touring Trim. 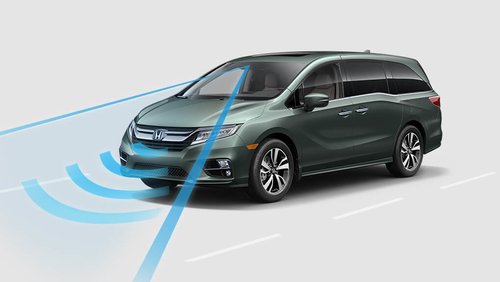 The new Odyssey also adds the Honda Sensing® suite of driver-assistive and safety technologies as standard on all trims.